With just two issues, this magazine has become one of my new favourite things. I was given the issue shown here by my nan. Now usually my nan passes onto me her copy of Prima magazine and tells me theres a great pattern in it or something that I will like, which is very sweet of her, but for want of a better phrase, Prima is catered to the older woman, not really someone my age. So I usually take the magazine, say thank you and don’t give it another look. This is what happened with this magazine. However by chance I saw this issue in Asda a couple of weeks later and decided to have a look for some reason, and I was really surprised by what I saw. Its basically a fashion and craft magazine, but much more appropriate for someone my age. It features loads of great little ideas for upcycling clothes, fashion fixes, style advice, and making things from scratch. In the issue shown here you were given the full pattern for the pinafore on the cover. After realising how great this issue was in Asda, I swiftly found my copy at home and read it cover to cover. 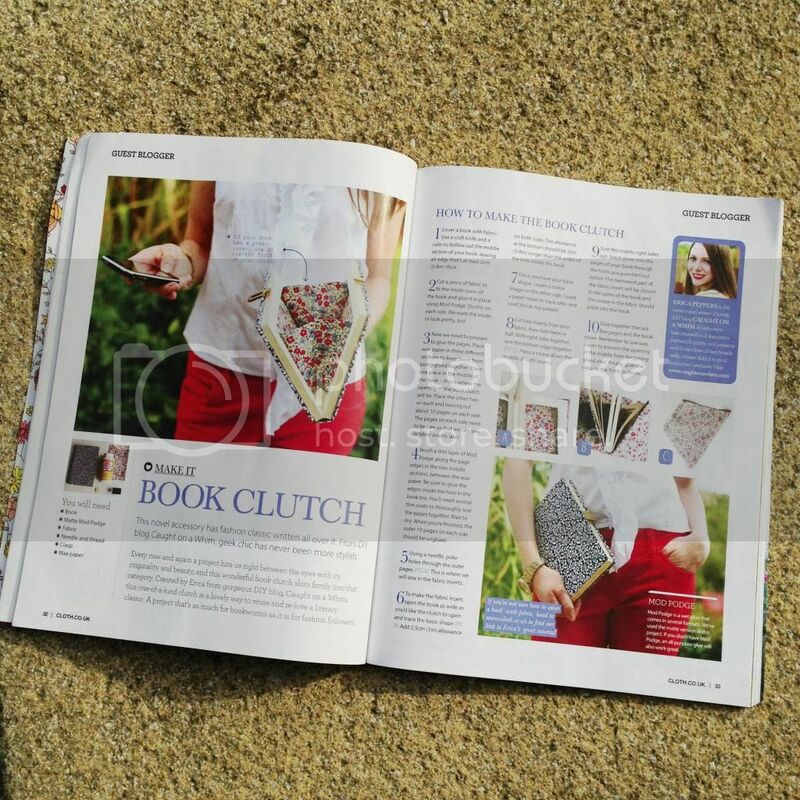 A couple of highlights in this issue include the dip-dye ideas above, and the book clutch shown below. All of the ideas are pretty simple and straightforward, its not as if you have to be a skilled sew-er in order to be able to make the things featured. After mentioning to my nan how great it was, she was kind enough to say I could have a years subscription to it, I do love that old girl! haha. I think she’s desperate for me to carry on the sewing and knitting side of our family that my mum and aunty followed on from her. The next issue I received was issue 19, which I think is even better than this one. This magazine has definitely brought back my sewing bug, I find myself analysing outfits on Pinterest and blogs, thinking ‘well I could make that’, then vowing to make it at some point. I think this summer I’m just going to be going crazy making things after being inspired by this magazine! Maybe I’ll have to start an Etsy shop! Watch this space haha. 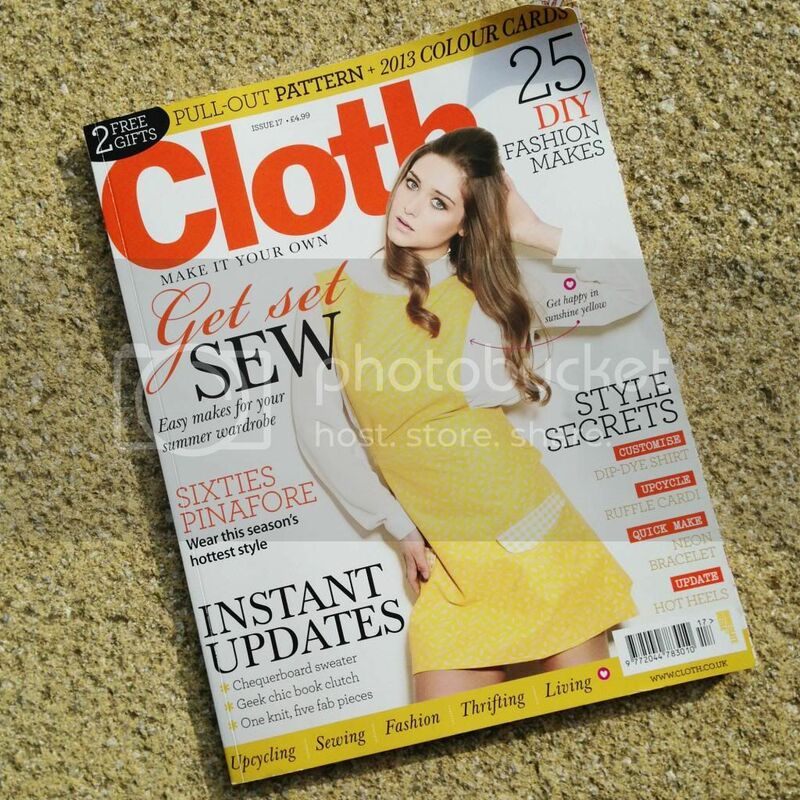 If you want to find out more about Cloth then their website is www.cloth.co.uk, I think it comes out once a month, I’m not sure what date, and is £4.99 for each issue I think. It may seem a bit expensive, but when with all the great ideas in it and the free patterns now and again, I think its worth it.